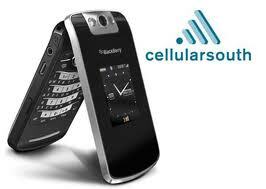 BlackBerry Pearl Flip 8230 Smartphone is available at Cellular South. BlackBerry Pearl Flip smartphone weighs only 3.6 ounces and measures approximately 3.9 "x 1.9 " x 0.7 ". Displaying two high resolution, lights-sensing feature display colors, the external LCD makes it easy to preview incoming emails, text messages and phone calls without opening the handset , while the large, 240 x 320 pixel internal LCD displays messages, videos and web pages with impressive detail and contrast. "The popularity of BlackBerry smartphones has been growing rapidly worldwide and the introduction of exciting new flip phone will help extend the reach of the BlackBerry platform even further," said Mike Lazaridis, President and Co-CEO, Research In Motion. "The BlackBerry Pearl Flip is a fully featured your smartphone with a unique and friendly design and it is a natural choice for flip phone users who want to start doing more with their phone than just talk."